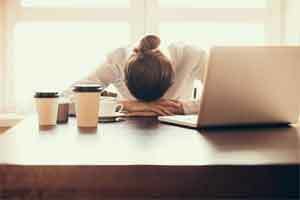 The U.S. Food and Drug Administration (FDA) approved supplemental new drug application (sNDA) for Xyrem® (sodium oxybate) oral solution to include an indication to treat cataplexy or excessive daytime sleepiness (EDS) in patients with narcolepsy aged seven and older, announced Jazz Pharmaceuticals. Xyrem, a central nervous system (CNS) depressant, was previously only indicated for use in adults but the drug bagged the approval for the treatment of cataplexy or EDS in pediatric patients with narcolepsy after the findings of multisite Phase 2/3 EXPRESS study, which enrolled patients seven to 17 years of age with narcolepsy with cataplexy. Study patients who were Xyrem-naive at entry underwent open-label titration to reach a tolerable and effective dose. All patients then underwent a 2-week, double-blind, randomized-withdrawal period and were randomized to either remain on Xyrem or receive placebo. The primary efficacy endpoint was the change in a weekly number of cataplexy attacks from baseline to the end of the double-blind period. After this period, patients entered an open-label safety period for up to 47 additional weeks. The safety profile of Xyrem in children and adolescents in this study was similar to that reported in adults, and no new safety concerns were identified following the use of Xyrem for up to one year. The study found that compared with Xyrem-treated patients, those who received the placebo experienced a statistically significant increase in weekly cataplexy attacks (median increase 12.7 attacks/week vs 0.3 attacks/week). In addition, patients in the placebo group, during the double-blind treatment period, experienced a statistically significant worsening of EDS vs patients who continued to receive Xyrem (median change in Epworth Sleepiness Scale score from baseline: 3 vs 0). The most common Treatment-Emergent Adverse Events (TEAEs) were enuresis, nausea, vomiting, headache, decreased weight, decreased appetite, nasopharyngitis, and dizziness. Xyrem, a CIII controlled substance, is available as a 0.5g/mL strength oral solution in 180mL bottles.